The tropical rainforest is one of the most diverse and biologically rich biomes on the planet. In this unique environment, warm temperatures and high annual rainfall form an ideal environment for plants to thrive. However, challenges like low light penetration beneath the canopy and nutrient-poor soil require special adaptations among plant species. Trees, vines, aquatic plants, flowers, and other varieties of plant life all compete to fill a niche in the rainforest, some more successfully than others. The rainforest is a unique environment that fosters explosive levels of plant diversity and growth. Over half of the world's discovered plant and animal species are found in tropical rainforests. 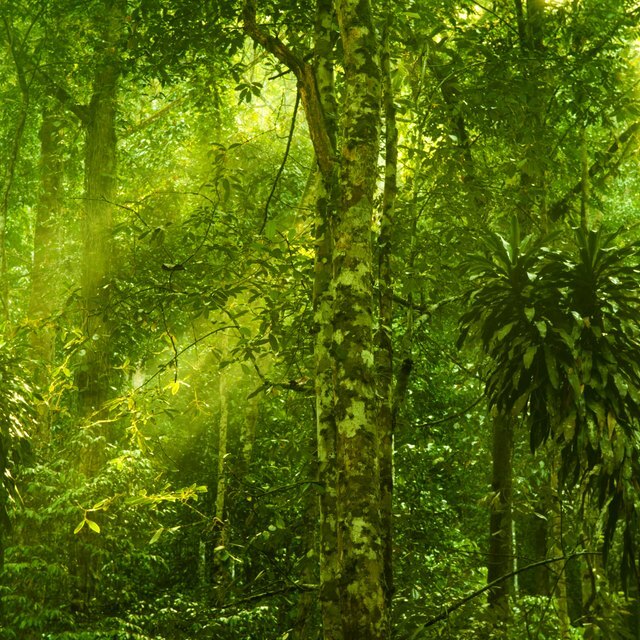 A rainforest has an average rainfall of 50 to 260 inches per year, and remains warm year-round. Humidity stays between 77 and 88%, and temperatures rarely drop below 68ºF. Scientists estimate that rainforest plants provide up to 40% of the earth's oxygen, yet the biome only covers 6% of the earth's surface. Trees make up 70% of the plant species found in the rainforest, and dominate the ecosystem's structure. In South America, 100 to 300 unique species of trees were found in just one hectare of rainforest. Trees in the rainforest don't branch out until they've reached a height of 100 feet or more, and form a dense canopy above the rest of the ecosystem that obstructs light before it reaches the forest floor. These trees often have a buttress root system, where roots grow outward to support the tree, because the sandy, loose soil of the rainforest provides a poor foundation. Trees give off moisture through transpiration, and the moisture provided in this way can account for up to 50% of the precipitation in a rainforest, keeping the air beneath the canopy constantly humid. Vines and lianas, or woody vines, are a key part of the rainforest's composition. These freeloading species use the woody trunks of trees as a staircase to the canopy, where they compete with trees for resources like sunlight and water. Vines and lianas also provide a network of connections between trees for animals to move around, and in the dry season they provide food to other organisms. Vines and lianas can, unfortunately, out-compete a tree for resources, by strangling it or preventing further growth. Plants in the rainforest come in all varieties. 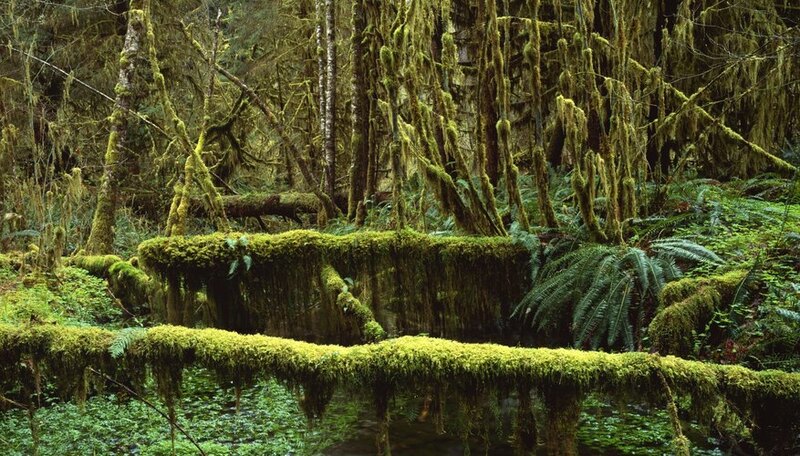 Many rainforests have large freshwater systems where aquatic plants can thrive, providing ecosystems for fish, eels, and other life along rivers, streams, and lakes. Bromeliads are a unique species of plant related to pineapples, which can hold gallons of water in the center of their cone-shaped leaves. Orchids, an abundant flower variety, grow throughout the rainforest, even on the branches of trees. Microbial plants and fungi, called saprophytes, work to capture nutrients before they can be washed away by heavy rainfall. Roman, Max. "List of Tropical Rainforest Plants." Sciencing, https://sciencing.com/list-tropical-rainforest-plants-7433910.html. 25 April 2017.